HX stool, fabric seat covering. 400x400mm brushed stainless steel central base and 50x50 mm brushed stainless steel column. Footrest fixed to the column. Fixed version. 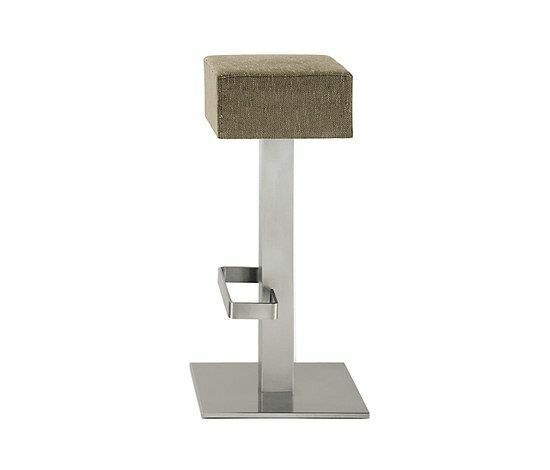 HX stool swivel or fixed version.